Replacement leatherette ear cushions for your Plantronics CS60 wireless headset. Are you wishing you could relive the days when your ear pads were fresh out of the box and everything seemed new and wondrous? Have you become tired of sharing your ear pads with countless other people with questionable hygiene rituals? YES! Then this product is for you. 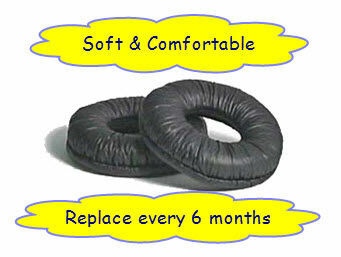 For hygiene reasons, it is recommended that you replace your ear cushions every 6 months.